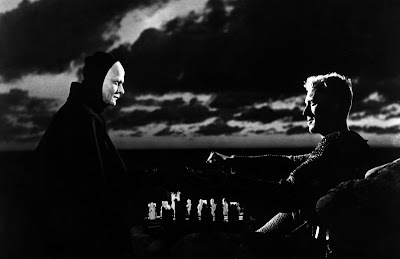 A couple years ago, I showed this to a friend who had not seen any Bergman movies and was not sure what he would think. To my surprise and his, he ended up laughing a lot - there's actually quite a bit of comedy mixed in with the grimness, something I'd forgotten. Bergman was an entertainer as well as an artist and in some ways was one of the most well-rounded filmmakers out there. Yeah, grim as it is, the film really keeps you entertained with drama, horror, comedy, and even musical theater. This highlights Bergman's skills, and in fact many of the older auteurs' skills as well, at moving easily between different genres (for lack of a better word). Hard to see one of my favorite contemporary directors, David Fincher, do a romantic comedy like Smiles of a Summer Night. Thanks for the link Tony. This review was quite helpful.